You’ve seen the stories: There’s Lead in Your Lipstick! Pthalates in Your Shampoo! Parabens in Everything! 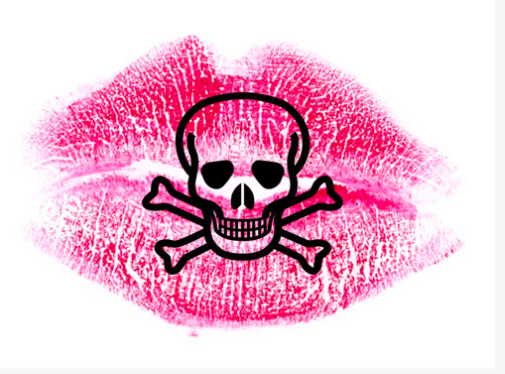 Our cosmetics are awash in toxic chemicals, or so it seems. Are we in imminent danger? Should we throw them all out and go au naturelle? Or slather away in a fool’s paradise, only to develop cancer – or worse, pass on our toxic habits to our children as birth defects? Why are there toxins in our products at all? And if these toxins are so dangerous, why isn’t anything being done? This reference to science is easy to mistake for scientific proof, especially if you’re not a scientist. And those of us in the creative fields don’t often have scientists hanging around to explain exactly what is going on with these stories. But Dr. Joe Schwarcz, Director of McGill University’s Office for Science and Society, offered a lecture on cosmetic composition and relative hazards at the IECSC Esthetics and Spa Conference last week – and since I had an all-access pass, I attended. Dr. Joe isn’t a cosmetic chemist, and McGill’s OSS takes no funding from corporate sources – its mission is to educate the public on scientific issues. So his opinion comes from his work as a chemistry professor, not a marketer. Most of what was covered in the three hour lecture was pure cosmetic geek stuff: what emulsifiers are, what this or that unpronounceable ingredient does, and the chemical reasons grapefruit masks ‘old lady smell’. But Dr. Joe also shared insights about why these scare articles about the ‘hidden dangers’ in our cosmetic products are so common, and how scientists assess the risks behind them. Why not? That’s what you want to know – these are hazardous, toxic chemicals, they’re going to kill you, right? Except that they probably won’t. For one thing, researchers can detect minute qualities – down to 1 part per trillion – of just about any chemical present in a given product. And when you break things down that minutely, you’ll find a lot of things – and some of them are going to be toxic. An apple, for example, has detectable quantities of both acetone and formaldehyde. No one’s writing articles about ‘nail polish remover’ or ‘embalming fluid’ in our apple (yet), because we assume that apples are not harmful – we’ve been eating them for ages. Risk = Hazard x Exposure x Vulnerability. So the formaldehyde in an apple may be hazardous, on its own. But since it’s a minute quantity, the exposure is probably not great enough to embalm you from the inside out. So unless you’re extremely allergic (vulnerability), you can probably eat that apple. Why Is There Lead in a Lipstick? Makeup, even in the 21st century, is basically ground pigments in a wax, oil, or clay base. And many pigments – and most soils, actually – contain minute amounts of lead. The perceived risk is in how you use the numbers. The CDC considers soil that has 50 parts per million (ppm) of lead to be uncontaminated, and allows up to 400 ppm in soil for children’s play areas. Today’s lipstick, depending on the pigment mix, may contain up to 7.19 ppm. The scare articles point out that this is much higher than the amount allowed in candy colorants, or water, and point out how often women reapply lipstick. But we don’t actually eat large quantities of lipstick. Dr. Joe points out that we’d have to eat six lipsticks a day – every day – to consume enough lead to cause harm. And that may just be for the few at the top of the list. I wear lipstick every day, and eat maybe three of them a year (which is a lot less than my annual M&M consumption). If you eat six lipsticks a day, then yes, maybe you should think about cutting back. So Why Are There So Many of These Articles? First, there are about 10,000 scientific journals publishing on at least a monthly basis. The quality of these journals varies widely, but the words ‘published scientific study’ sound credible to a lot of people. Not all of the studies cited are even credible : an oft-cited study about parabens in breast cancer tumors included no comparative measures for healthy tissues., which also contain ‘measurable amounts’ of parabens. Second, social ‘watchdog’ groups and click-hungry social media combine to create hysteria. A lot of the people writing ‘scare’ articles based on ‘published scientific studies’ aren’t trained in scientific writing. Even major women’s websites assign bloggers who clearly don’t understand the material to write polemics about newly published scientific studies (lookin’ at you, Jezebel!). And all media outlets, my own included, want as many clicks as they can get. If you’re willing to play the fear and outrage cards, the lure of writing clickbait is hard to resist. So how do we read these articles? First, look for the numbers. Vague words like ‘detectable’ and ‘measurable’ are routinely used to warn us about the toxins in our cosmetics. But it’s rare to see a ‘scare’ article that tells how much of the hazardous ingredient is in the product, and how much it takes to harm a person. If they did, we might not be as scared, and might not share it on FaceBook. Second, look for the motive. What does the article’s author want you to do about this? Sign a petition? Be afraid or outraged so the advertisers can console you? Buy a book or product? Third, realize that ‘cosmetics companies’ are not trying to harm you. Naysayers will note that the cosmetics industry is not officially FDA regulated: it is self regulated, by members of the industry and the FDA. And no, the FDA does not have to approve new cosmetic products before they hit the shelves, but it can yank them fast if they are found to be unsafe. Cosmetics companies do not want to make products that get recalled – they spend far too much money on development and marketing, and live in fear of lawsuits. Besides, killing paying customers is not a good marketing strategy. But Meli, Don’t You Love Your Natural Skincare Companies? Yes, it’s true: I love my bioorganic, plant-based skincare, but that’s because I’ve got a mystical hippie streak in me that believes full plant extracts have more to offer than chemical isolates. This is not a mainstream scientifically accepted idea – it’s fringe, and I’ll own it as such. I also know that any reputable organic skincare is formulated by cosmetic chemists in a lab, using the same rigorous approach to composition, safety, and efficacy as their counterparts in more conservative companies. And I’m pretty sure researchers could find ‘measurable amounts’ of something toxic in those products as well. But I’m not letting publicity-hungry media outlets and ‘watchdog’ groups use pseudoscience to scare me into a corner – and now that I’ve shared Dr. Joe’s breakdown of how scientists assess risk in these matters, you don’t have to, either.